Knickpoint was founded this year by Zain Koita, a former development executive with Related Companies and Matt Sprayregen, formerly with BBH Capital Partners, a private equity fund based in New York. Koita said the company plans to build a 120,000-square-foot, five-story building with about 3,000 square feet of retail space. The neighborhood, which includes the MiMo District, has increasingly become a target for investors and developers as it attracts new restaurants, retail tenants and some micro-unit developments. Last year, the former Cadillac Hotel in the MiMo District was acquired by Canadian investors who plan to convert the building into micro condos. Smaller residential units and increasing land costs make it especially challenging to find affordable development sites, Koita said. He declined to say how much equity he’s investing into the self-storage project, which will be completed by the beginning of 2019. 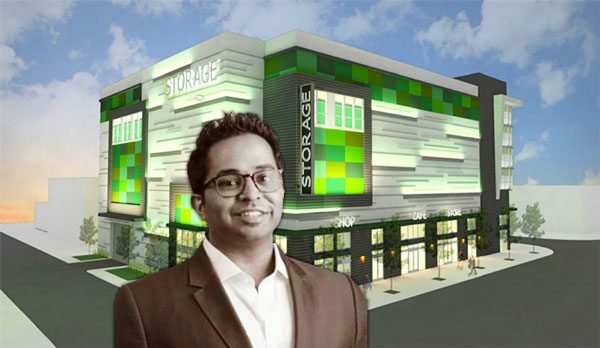 Self storage has caught the attention of deep-pocketed investors over the past year. In August, developers Ken Edelman and Alan Potamkin opened SoBe Wine & Self Storage, a three-story commercial building with traditional storage and temperature controlled wine rooms on Alton Road.